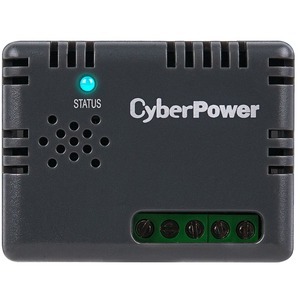 The CyberPower Environmental Sensor, combined with the RMCARD203, provides complete UPS monitoring and management with real-time temperature and humidity readings in distance. Event notifications notify administrators remotely whenever a defined event happens. Additionally, Environmental Sensor provides 4 input contact closures, allowing users to monitor the status of connected devices, such as a door switch sensor. A Three-Year Warranty ensures the ENVIROSENSOR has passed our highest quality standards in design, assembly, material and workmanship.